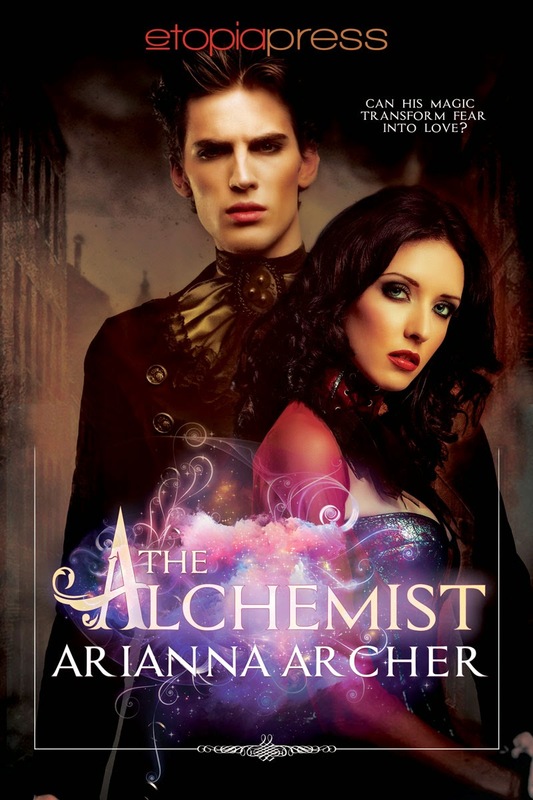 Now booking a Review Tour for The Alchemist by Arianna Archer. This is a 90k word, Paranormal Romance Historical novel. Tour dates: April 13th - 24th. I have epub, mobi and pdf available. Please email me with your available dates as well as what format you would like. Niccolo’s heart raced, pounding the walls of his chest. He willed it to calm. He needed to clear the raging blood from his head so he could think. In a soft leather pouch hanging from a thong around his neck and buried beneath his cloth, a small sapphire vial was concealed. Niccolo withdrew it now, never taking his eyes from his lover’s face. Her perfect cheekbones, the nobility of her nose, and the fine twin arches of her brows combined with the chilly pallor of her skin and stillness of form to suggest she was not a creature of flesh, deserted by spirit, but a goddess sculpted in marble, serene in her eternal sleep. His fingers trembled as he unstopped the bottle. He parted her lips and held the jewel to her mouth. “God forgive me,” he whispered and tilted the bottle. The elixir had the color and luster of liquid gold with the capricious consistency of quicksilver. It ran out over her tongue and disappeared into her throat, leaving no trace except for one fine golden bead clinging like a gilded dewdrop to her lower lip. The vial was empty, the hollow sapphire glittered in the candlelight. Niccolo scrutinized the delicate fringe of Carolina’s sable lashes against her pale cheeks. He was close enough to feel her breath, had she any. “Come back to me, my angel,” he murmured and placed his lips upon hers.